SUSPECTED fresh xenophobic attacks in South Africa have resurfaced in some parts of Limpopo province and Durban in KwaZulu Natal, leaving three people dead and several houses burnt to ashes. 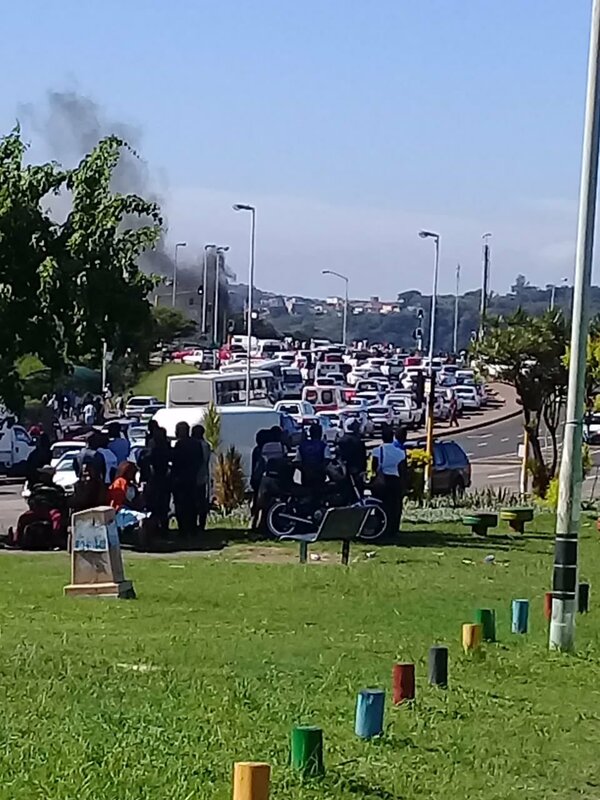 The Durban attacks come barely a day after the South African government launched a national action plan to combat racism, racial discrimination, xenophobia and ethnic intolerance in the neighbouring country. The attacks allegedly targeted at foreign shop owners began on Sunday night at Kenville residential area in northern Durban. In a telephone interview with The Chronicle yesterday, South African police spokesperson for KwaZulu Natal province, Colonel Thulani Zwane, confirmed the latest development, saying two protesters were shot dead after one of the affected foreign shop owners opened fire during the skirmishes. 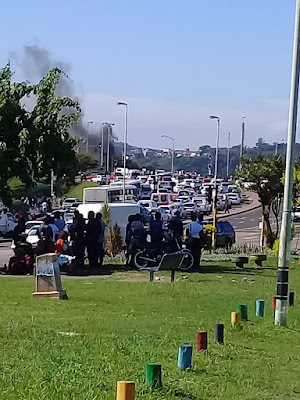 “On Sunday shortly after 11PM, a group of more than 100 people in Kenville area outside of Durban went on a rampage between Sea Cow Lake and Inanda roads during which they blocked traffic using rubble from burnt tyres. They stoned and damaged passing vehicles, stormed tuck shops and looted them prompting one of the shop owners, a foreign national, to open fire, instantly killing a 22-year-old man. Two others were wounded and one of them later died in hospital,” said Col Zwane. He said one of the female protesters died after falling off a roof of a shop, which was being looted. Col Zwane said two suspects aged 22 and 28 years have been arrested for public violence and appeared at the Durban magistrates’ court yesterday. “We have opened a case of public violence, two counts of murder, one count of attempted murder as well as an inquest into the death of the woman who fell from the rooftop of a shop at China Mall,” said Col Zwane. He said although calm has returned to the affected areas, they have maintained police presence. “The situation today (yesterday) is not as tense as it was between Sunday and Monday and our police officers are still patrolling the area and monitoring the situation,” Col Zwane said. It was launched by that country’s Justice and Constitutional Development Deputy Minister John Jeffery at the St George Hotel in Irene during an event attended by civil society organisations and government officials. In Tshino village in Vuwani outside Thohoyandou in Limpopo province, police said 11 suspects were arrested last week for torching houses and a car belonging to a Zimbabwean traditional healer during violent protests targeted at foreigners. According to media reports in the neighbouring county, streets were barricaded with rocks and burning tyres by angry community members at Tshino. The angry community members left a trail of destruction, with property belonging to Zimbabweans burnt to ashes. The local community is accusing illegal immigrants from Zimbabwe of fuelling crime in the area. Limpopo police spokesperson Col Moatshe Ngoepe said they arrested 11 suspects in connection with the Tshino violent protests. “We arrested 11 suspects on charges of public violence, malicious damage to property and arson and they have since appeared at the Vuwani Magistrates’ Court and were remanded to Friday. Our investigations are ongoing and we hope to make more arrests. We condemn any act of violence and we are saying those involved will face the full wrath of the law. Whoever has grievances should follow the right channels rather than resort to violence,” he said. Col Ngoepe said eight houses belonging to foreigners were torched during the violent protests. He said although normalcy has returned, they were still monitoring the situation. In 2017, former South African President Jacob Zuma said it was wrong for South Africans to solely blame all criminal activities on foreigners and urged locals to exercise restraint, unite against crime and work with the authorities to bring perpetrators of crime to book. The latest attacks evoked ugly memories of the deadly xenophobic attacks of 2015 which displaced hundreds of thousands of Zimbabweans and other African immigrants living in South Africa, following alleged inflammatory remarks by Zulu king, Goodwill Zwelithini, who had called for the expulsion of foreigners.